It’s time once again for my semi-occasional, govenmentally-mandated post on "The Death of Superman." 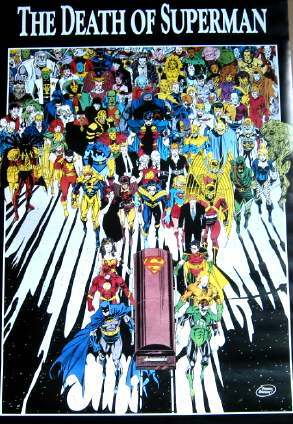 Straight from 1993 and right into all of our hearts is this commemorative poster by Dan Jurgen and Brett Breeding for that one time Superman died for a couple of months. This was about the time DC was pushing Deathstroke as a Punisher-esque “anti-hero” rather than the out-and-out villain he is now. 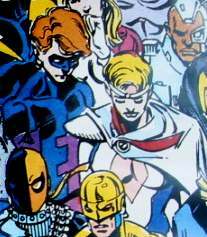 I have a hard time imagining the current, post- Identity Crisis Deathstroke having his presence tolerated by the other heroes. Okay, I can see Darkseid acknowledging the death of a respected foe, raising his chalice of sparkling cider in tribute, but at Casa de Darkseid back on Apokalips. I just can’t see him marching along with everyone else in a funeral procession, particularly with a Dead Superman armband. 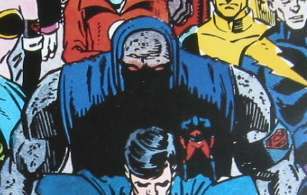 I mean, c’mon, it’s Darkseid. Just seems slightly out of character. 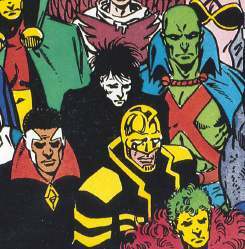 Alas, they’re from the period of the Hawkman reboot, so they also remind me of how the characters were nearly broken what with all of DC’s continuity shenanigans. Not pictured (mostly): an uncomfortable number of Team Titans and Darkstars. 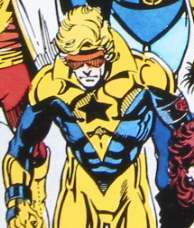 I always love how pieces of merchandise like this are such snapshots of comic book continuity of the time. In fact, I saw a fella at the store on Sunday wearing a Mullet Superman t-shirt. The storylines may be dead, but the merchandise lives on.